Pet Law and Animal Law is a diverse area of practice. Representing individuals or entities relating to all aspects of human and animal interaction requires drawing from a wide range of legal knowledge and experience like civil litigation, family law, landlord-tenant law, criminal law, insurance, business formation and estate planning. Topics include Americans with Disability and Fair Housing statutes as they pertain to companion and service animals, animal protection issues such as protection from cruelty, overcrowding, neglect and exploitation, consumer protection in the sale or treatment of pets, domestic animal control statutes, ordinances and resolutions, landowner liability, debt collection for boarding and other services rendered for household pets and farm animals and horses to name a few. Most American households have pets that are considered part of the family. Many animals outlive their owners, and after the owners are gone – the pets must be taken care of, or they will perish. Consequently, it’s vital that you plan for your pet’s welfare after you are gone. Now is the time to plan for the future of your family pet through a pet trust. Currently, the best way to provide for your pet after your death, and to ensure your wishes are followed is to establish a pet trust. But first let’s discuss a common misunderstanding about providing for your pet once you are gone; specifically, the idea you can provide for your pet’s future in your will. Simply put, you cannot provide for your pet in your will because the law does not provide your pet – a nonhuman lifeform – to have the same legal rights as a person. For example, you can’t take your dog or cat to the bank and open an account for them because they have no legal right to receive money. To clarify, setting aside all the nuances of legal explanation, if you want to make certain your pets live out their natural lives the way you want them too – you can’t make that happen in your will. Instead, you need a pet trust. Incidentally, for a detailed discussion about how to provide for your pet’s future without you, the Human Society has prepared an excellent document you can download by clicking here. A pet trust is a legally sanctioned arrangement providing for the care and maintenance of one or more companion animals in the event of a grantor’s disability or death. Typically, a trustee will hold property (cash, for example) “in trust” for the benefit of the grantor’s pets. Payments to a designated caregiver(s) are made on a regular basis. The trust, depending upon the state in which it is established, will continue for the life of the pet or 21 years, whichever occurs first. This is particularly advantageous for animals that have longer life expectancies than cats and dogs, such as horses, tortoises, and parrots. A pet trust is typically established to provide for the care and maintenance of a particular animal or group of animals, and it includes instructions for who you want to handle your pet’s needs in and how to spend assets left for them after you die or become incapacitated. To clarify, pet trusts establish rules and guidelines for the care of your animals after you die or become incapacitated. The pet trust is designed to use a portion of your assets to provide your pet with all of the amenities they had when their owner was alive. In other words, a pet trust establishes and provides for the health, maintenance, support, housing, and any other special instructions necessary for the care of your beloved pet. One of the most important aspects of a pet trust is the peace of mind it gives you. This legally binding trust requires that your animal be cared for in specific ways by a caretaker you assign. If the caretaker you choose is not following your directions, a new caretaker will be appointed. This prevents the caretaker from using your assets in an inappropriate way, or not giving your pet the proper attention you want it to have. 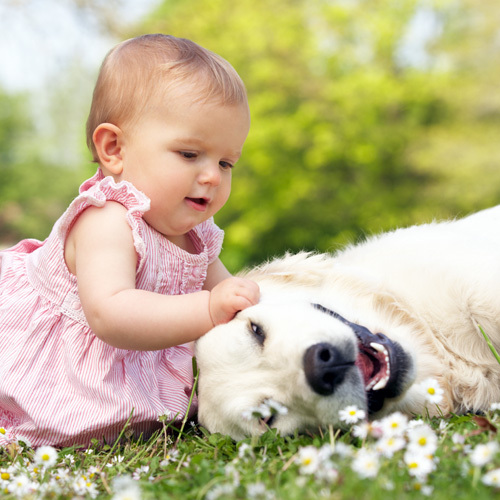 The predictability a pet trust provides assures you that your animal is left in good hands and will live out its natural life the way you intend and it deserves. The funding of your pet trust can be in any amount. Some wealthy pet owners have provided sums as large as $100,000 or more for their pet trust! However, you’ll know the proper amount for your pet. Additionally, when your pet dies, any assets remaining in the pet trust can be distributed to any person or charities you choose. Pet trusts are a great way to plan for the future of those companions who can’t speak for themselves, yet have both enhanced your life and filled it with joy. We encourage you to schedule a consultation with a Radom & Wetter attorney in order to discuss whether a pet trust would be appropriate for your family. Trusts go into effect fast, and time is of the essence. Pets need daily care. A will has to be probated before it becomes effective. The court may not recognize and put your plan into action for days or even weeks – assuming there are no legal challenges made to your will. Moreover, probate courts can take a few weeks before an executor is appointed to handle your estate. Pet trusts provide protection for your pet if you get ill or incapacitated. A will only goes into effect after you die. A will has no power if you fall ill or become incapacitated. A pet trust sets provisions that empower the trustee to use the funds that you set aside for your pet’s care even if your disability is lengthy. A pet trust provides you peace of mind. A pet trust gives you the peace of mind that someone is caring for your pet the way you want them to be cared for. Your trustee and the pet’s caretaker are legally bound to follow-through with your instructions. Your pet is an important member of your family. Ensure it will live out its natural life the way you intend by creating a legally binding pet trust today. Providing for your pet’s future in your will is insufficient and leaves your pet exposed to neglect or mistreatment in the event of your demise. The only way to ensure your caregiving instructions are implemented after your passing is to create a pet trust. Call a Radom & Wetter pet trust attorney today. If you require professional legal advice and representation regarding personal issues anywhere in New Jersey, make sure your legal rights are protected by seeking the legal advice of an experienced law firm. Contact us at 908-707-1500 or 973-867-7053 or use our Contact Form. Is It Time for You to Eliminate or Update Community Association Rules? Can a Board of Trustees Amend Bylaws without a Vote of Unit Owners? The lawyers of Radom & Wetter are renowned NJ attorneys providing counsel for community association law, business law, and personal law. © 2018 Radom & Wetter. This information should not be considered legal advice and is not intended as a substitute for consultation with an attorney. This website is an advertisement by the law firm of Radom & Wetter. No aspect of this advertisement has been approved by the Supreme Court of New Jersey. Radom & Wetter is a law firm in the state of New Jersey and serves the following communities; Atlantic County, Bergen County, Burlington County, Camden County, Cape May County, Cumberland County, Essex County, Gloucester County, Hudson County, Hunterdon County, Mercer County, Middlesex County, Monmouth County, Morris County, Ocean County, Passaic County, Salem County, Somerset County, Sussex County, Union County and Warren County.